How Long Can We Ignore Reality? 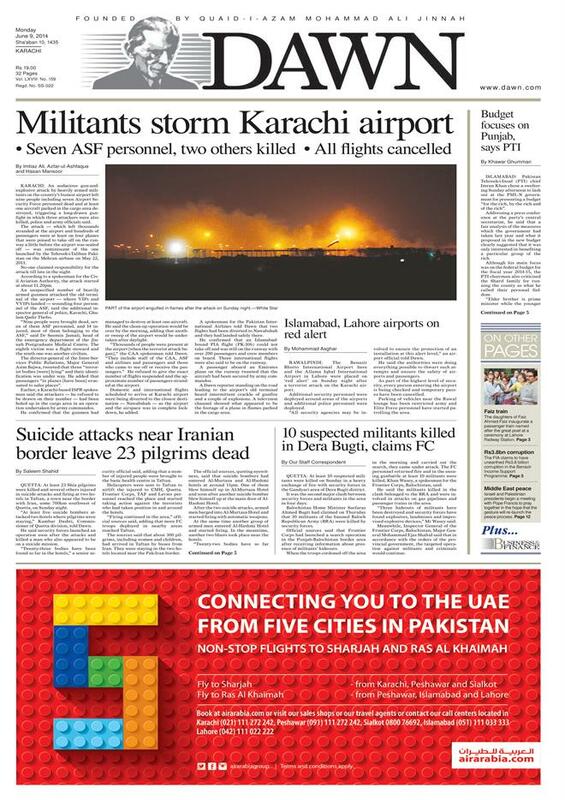 The front page of Dawn is about as stark a wake up call as they come. But is it enough to awaken us to the reality that our country faces? What exactly is the line between a struggling nation and a failed nation? Surely having media filled with stories of attacks is dangerously close to that line. Nawaz has called an emergency security meeting later this week, but we have had emergency security meetings before and I expect we’ll have them again. In the meantime, attacks continue unrelenting. Condemnations will be given. Emergency meetings will be held. Serious people will be photographed making very serious statements. But until we, common everyday Pakistanis, not to mention the elites and political leaders, are ready to face the reality that we are living in, how can we hope to change it? We need to wake up. Time is running out. This entry was posted in Blogs by Mahmood Adeel. Bookmark the permalink.